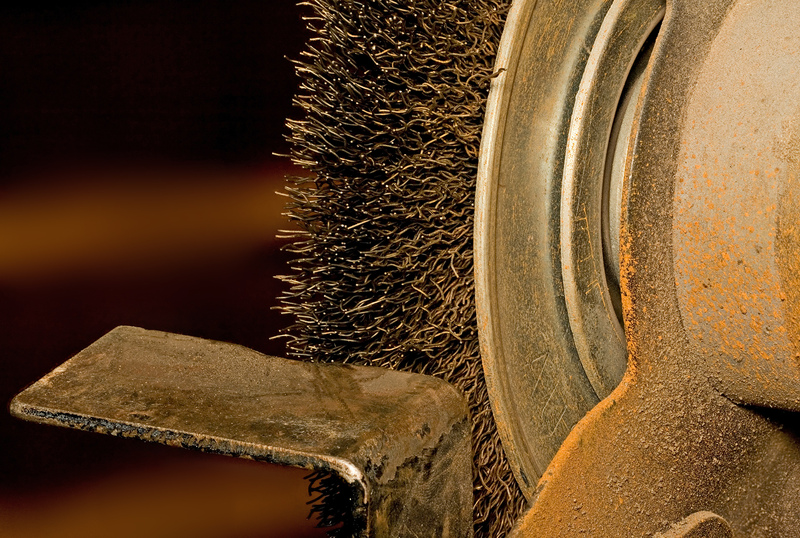 Industrial grinding companies play an integral role in the metal finishing process. New data from IndustryNet suggest that industrial grinding companies are holding firm as U.S. manufacturing capacity expands. What's new in U.S. industrial grinding? Over the past year, average sales for industrial grinding companies have increased steadily. Average sales now stand at $641.85 million, which represents a 1.4 percent increase overall. IndustryNet's data show average sales in 2017 topped $632.99 million. If this trend continues, U.S. industrial grinding companies will outpace many other segments of the U.S. metal finishing industry. Furthermore, employment statistics have slightly declined since last year. In 2017, there were 6,674 jobs in industrial grinding; 6,605 jobs exist today. At a glance, these figures seem negligible, but a 1.03 percent decline in employment may correlate to the effect of automation on manufacturing employment. The top-10 companies by number of employees and the top-10 companies by square-footage provide context for those interested in learning more about the U.S. industrial grinding industry. Precision Grinding & Mfg. Corp. These top-performing companies annually report employment data to IndustryNet for analysis. Magotteaux Pulaski, Inc. began business in 1914 as a small Belgian iron foundry. It has been at the forefront of major innovations for over a century. In 1922, Magotteaux Pulaski, Inc. won an award at the International Engineering Exhibition, which gained the company global notoriety. Since 1976, Abrasive-Form, Inc. has served aerospace companies and general manufacturing companies. Particularly, this company is noteworthy for its commitment to quality management as a competitive advantage. Pavement Recycling Systems, Inc. is a unique company due to its employee-ownership structure. The company is one of the few employee-owned manufacturers that operate in California, Nevada and Arizona, giving Pavement Recycling Systems, Inc. a regional presence. Advanced Automotive Grindingï¿½focuses mainly on centerless grinding operations. In addition, the company offers machining to supplement its industrial grinding services and appeal to a broader market in the Midwest. Precision Grinding & Mfg. Corp. benefits from over 50 years of expertise, spanning two generations of family ownership. This company touts its continuous improvement manufacturing processes, leveraging upcoming technologies to raise quality and expand service. Boston Centerless, Inc. operates in a diverse set of industries, such as medical device manufacturing, automotive, aerospace manufacturing and defense contracting. It makes several branded products and has the capability to supply metal alloys, stainless steel and plastics. David Barnes Co. began industrial grinding operations in 1970 and has focused on developing a principled workforce, which the company considers a vital part of its competitive advantage. It relies on this culture of quality and integrity to outperform larger industrial grinding companies in the region. As a relatively new company founded in 1995, Premier Casting Services, Inc.ï¿½supplies industrial grinding services to the oil and gas industry, heavy construction industry and agriculture. It also specializes in iron fabrication and welding to complement its grinding services portfolio. Over the past 30 years, Round Ground Metals, Inc. has grown into a fully capable industrial grinding company in a relatively short period of time. 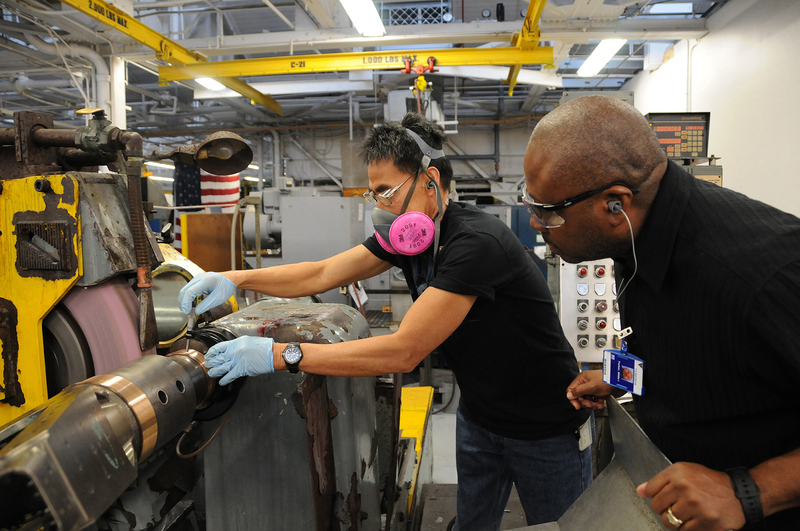 Like other companies in industrial grinding, it serves a broad array of industries, including defense contracting, agriculture and heavy equipment manufacturing. Aggressive Grinding Service, Inc. serves its customers by providing a full range of grinding services. It has competencies in high volume, multidimensional products and complements its grinding business with honing and EDM machining as well. These companies represent the bulk of employment in U.S. industrial grinding. American Grinding & Machining Co.
Vernon Machine Corp.Round Ground Metals, Inc. These top-performing companies operate the largest plant sites in the U.S. Founded in 1960 as a small, startup trucking company, Marietta Industrial Enterprises, Inc. has grown into the largest U.S. industrial grinding company by square-footage. Its main plant site is larger than any other industrial grinding facility in the country. In business for 60 years, American Grinding & Machining Co. has developed a full range of services that include craftsmanship and a commitment to quality control. This company is also capable of providing welding services and fabrication services in addition to industrial grinding. Precision grinding services are the main competencies of Precision Roll Grinders, Inc., which allow the company to narrow and perfect its work. Whereas other industrial grinding companies offer a broader range of services, this company has found a niche in the precision grinding industry. Truly, Schmolz + Bickenbach USA, Inc.ï¿½has an international presence as one of four corporate brands under the Schmolz + Bickenbach brand. Altogether, this company has seven plant sites around the U.S., but its Carol Steam, Illinois, site is the largest. Vernon Machine Corp. operates as the parent company of Bender CCP, providing roll grinding services and steel coating services. This company is rising fast in the U.S. industrial grinding industry despite having only been in business since 2008. Round Ground Metals, Inc. has been operating for 29 years in the Midwest. Its hallmark is versatility and its ability to support original equipment manufacturers. For example, the company has a breadth of products, which allows it to customize processes. Banner Service Corp. can provide precision grinding and polishing, as well as materials for medical devices. Banner Commercial and Banner Medical are two of the company's brands, which allows Banner Service Corp. to attract a diverse clientele. Gallmar Grinding, LLC can perform heat treating, plating and industrial grinding. The company has three additional entities under its parent brand, Fox Valley Heat Treat Inc., Gallmar and Magnacoat, LLC. As the largest plastics industrial grinding company in Michigan, United Plastics, Inc. serves original equipment manufacturers. This company's greatest asset is its diverse workforce and ability to handle high-volume grinding services. 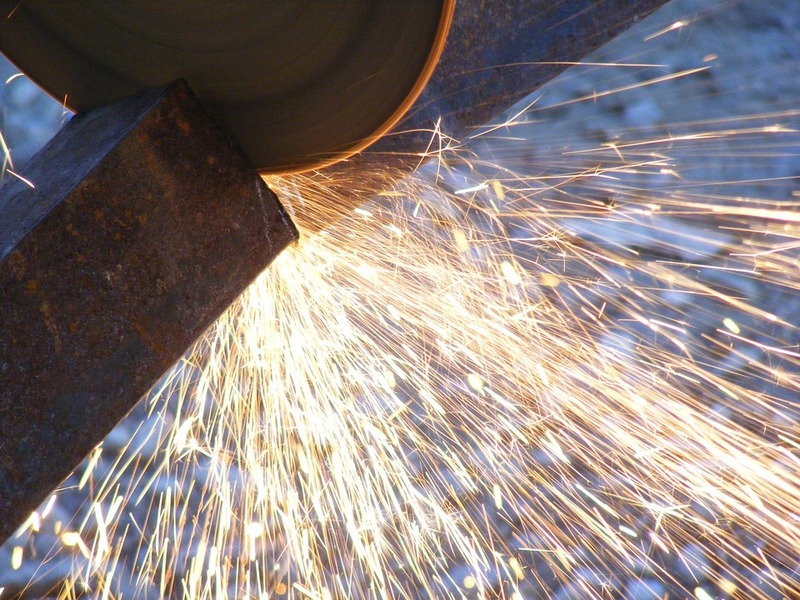 Connect with industrial grinding companies in the U.S.
IndustryNet helps industrial buyers utilize its database of over 400,000 U.S. manufacturers and suppliers of more than 10,000 products and services. Whether you are searching for industrial grinding companies near you or virtually any other type of product or service, you can contact a company directly, request a quote, download catalogs, view companies videos and more. Related Companies: Abrasive-Form, Inc., Advanced Automotive Grinding, Aggressive Grinding Service, Inc., American Grinding & Machine Co., Banner Service Corp., Boston Centerless, Inc., David Barnes Company, Gallmar Grinding, LLC, Magotteaux Pulaski, Inc., Marietta Industrial Enterprises, Inc., Pavement Recycling Systems, Inc., Precision Grinding & Mfg. Corp., Precision Roll Grinders, Inc., Premier Casting Services, Inc., Round Ground Metals, Inc., Schmolz + Bickenbach USA, Inc., United Plastics, Inc., Vernon Machine Corp.